Founded in 1995, WebSight Design, Inc. offers business clients a range of web site design and development services, including design, iPhone application development, programming, hosting, web site marketing, and colocation management. Our clients include over five hundred businesses ranging from large multinational corporations to small businesses in the San Francisco Bay Area and nation wide, and we have provided them with creativity, dependability, and value for nearly 15 years. 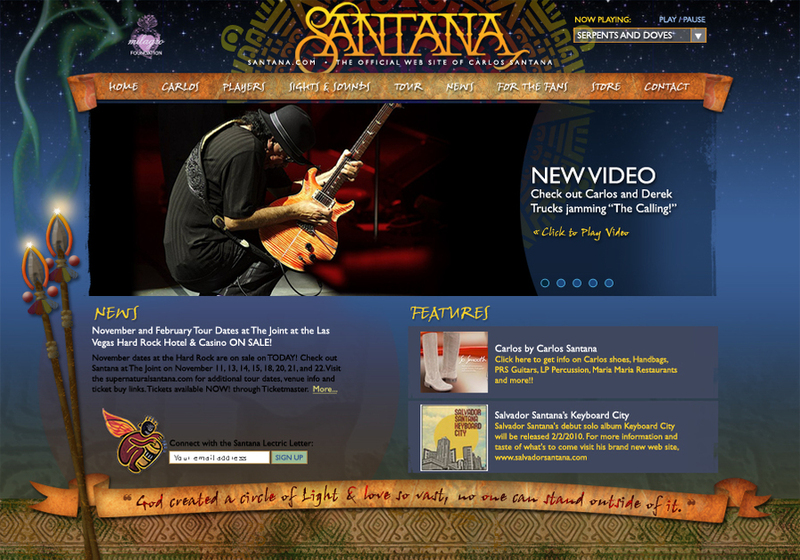 We designed the interface and built the dynamic Flash components for the official web site of Carlos Santana. We also built the Santana iPhone app!